All class price details below. No matter what your level of fitness, our classes offer something for everyone. We also apply the same principles to payment. Certain classes just turn up and pay on the door or use your punchcard. You are still able to purchase a 10 week punchcard at £40, which will give you access to the pay as you go classes. Link is here. 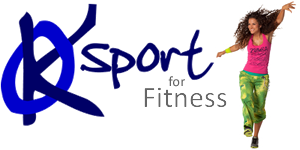 For full access to all KO Sport classes, we offer a monthly membership of £35, to be received by KO Sport on the 1st of each month. Once received, you will have access for the month, up to and including the last day of the month. If you're attending two or more classes per month, this is your best financial option. Please email membership@kosport.co.uk with your name to let us know you have set this up. PLEASE NOTE: IF YOU DON'T ATTEND A CLASS (WHICH HAS LIMITED SPACES) FOR THREE CONSECUTIVE WEEKS YOUR SPOT WILL BE MADE AVAILABLE TO SOMEONE ELSE. MEMBERSHIPS ARE NOT TRANSFERABLE TO OTHER PEOPLE.